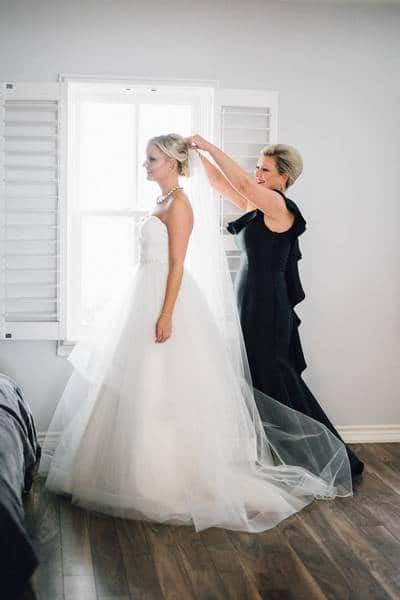 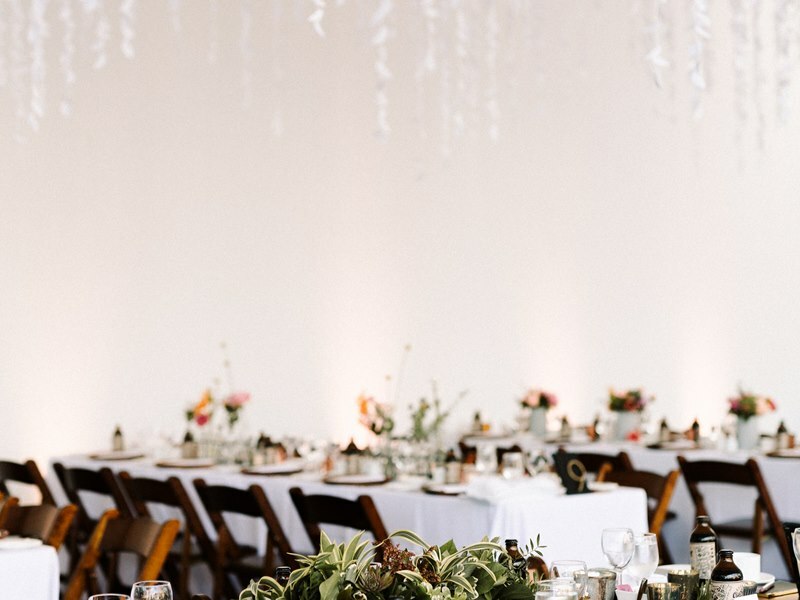 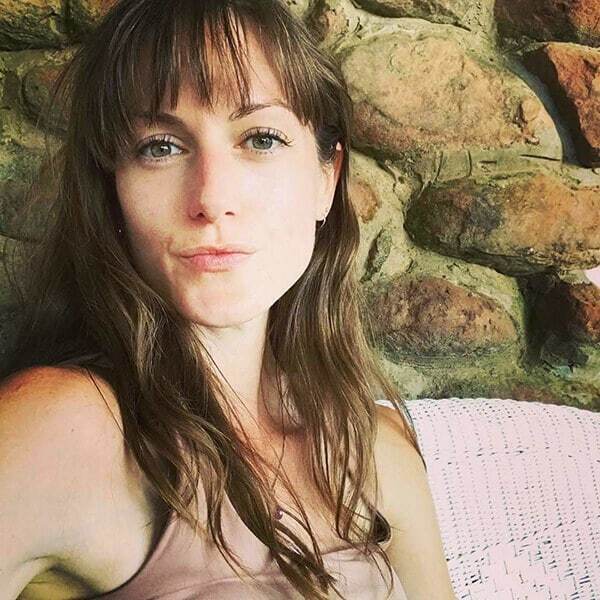 When your sister — and co-maid of honour — just happens to be a wedding planner, you can be sure that you’re in for one dreamy wedding. 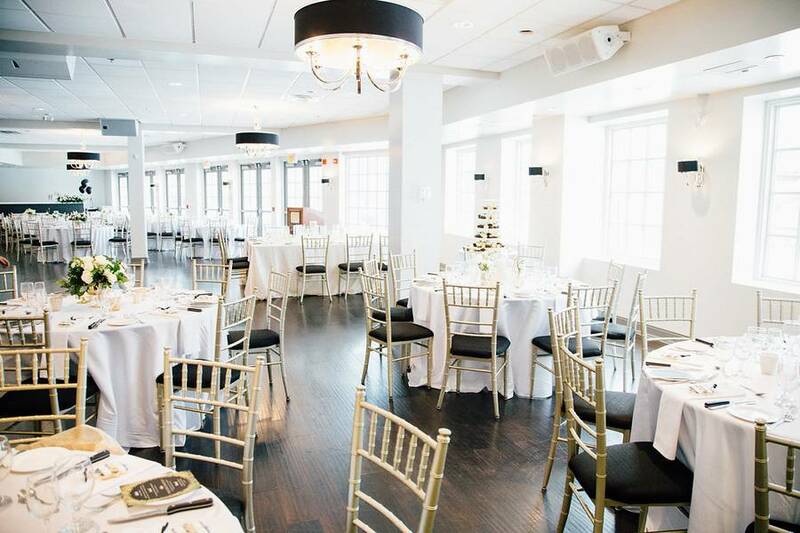 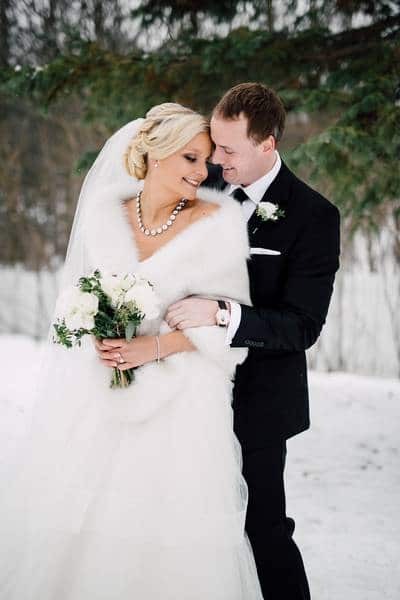 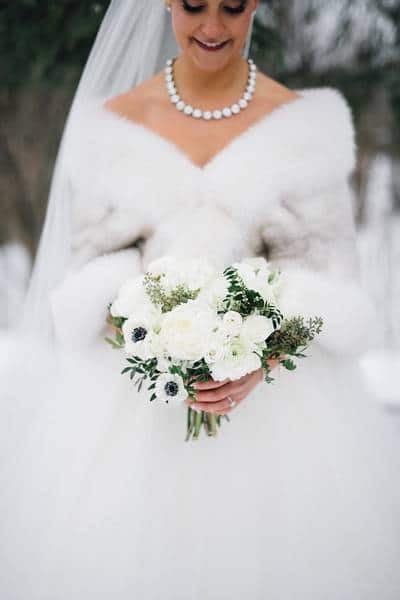 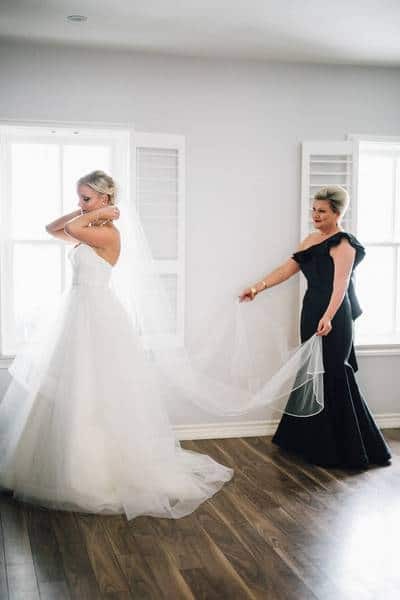 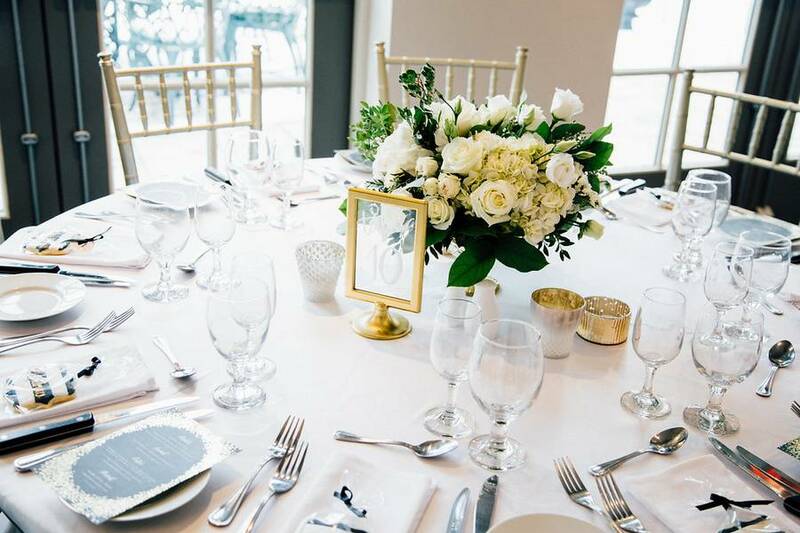 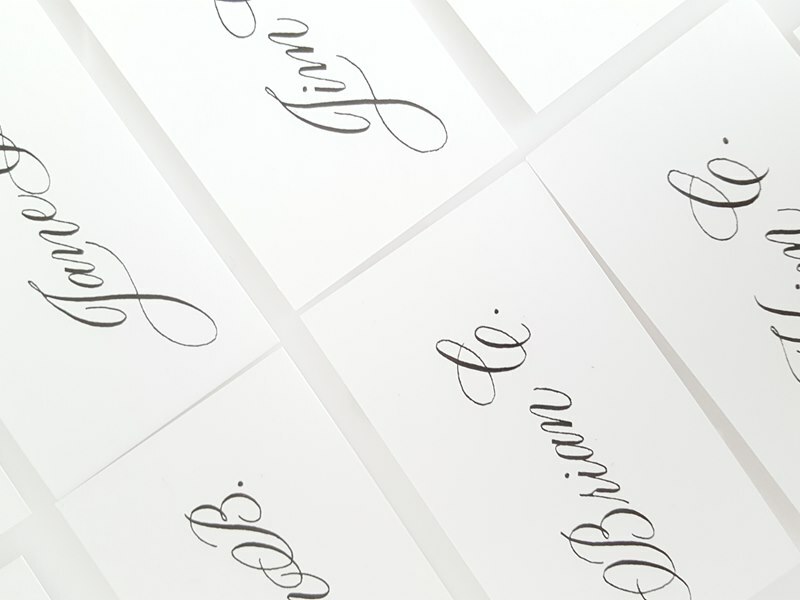 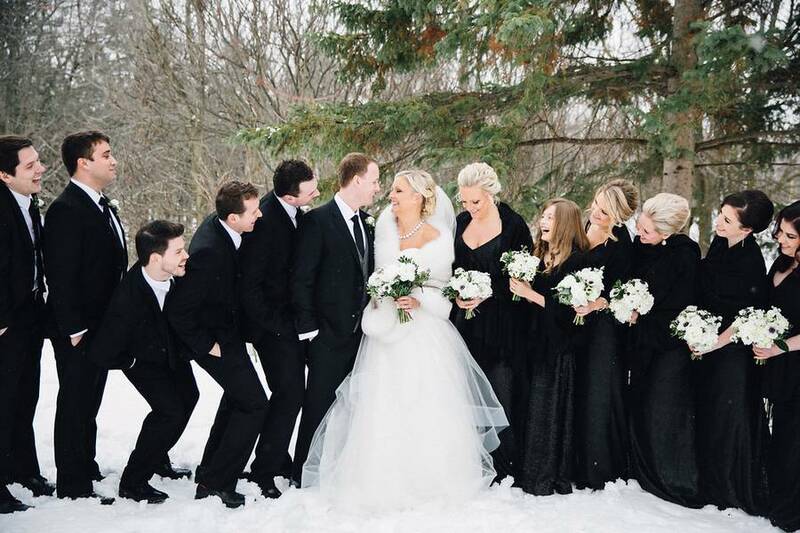 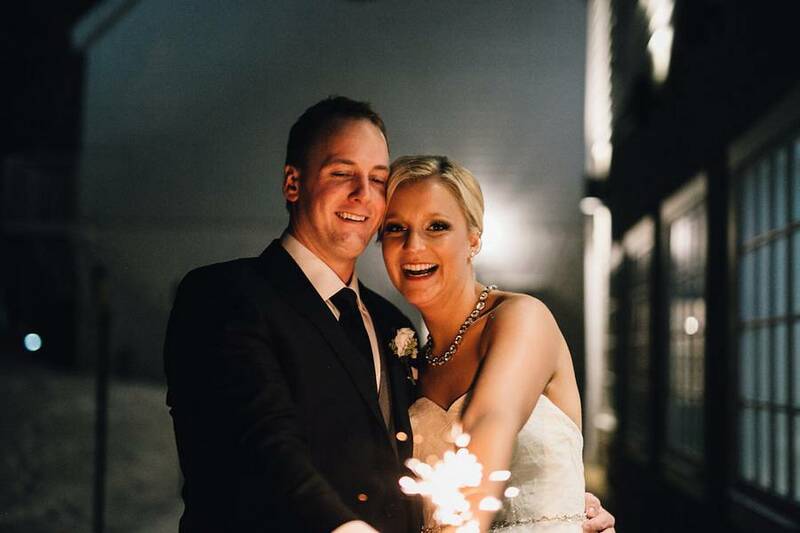 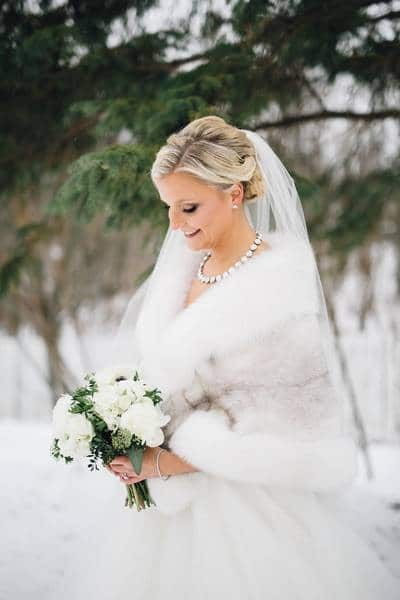 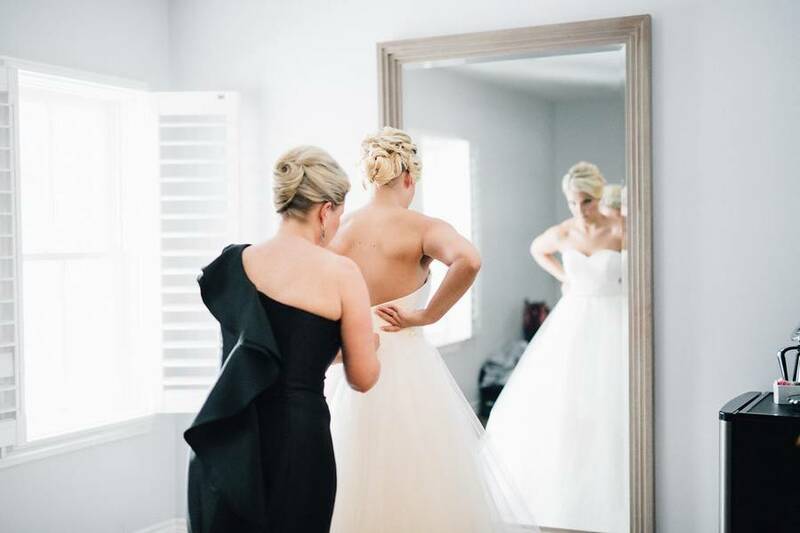 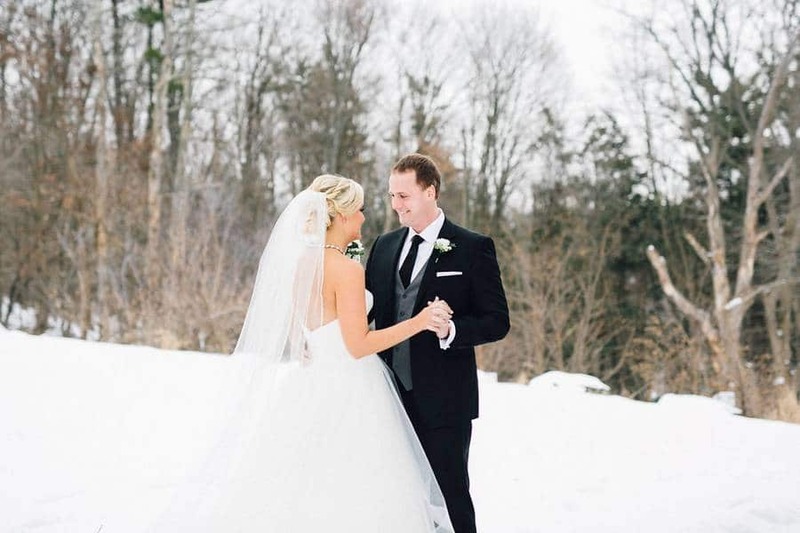 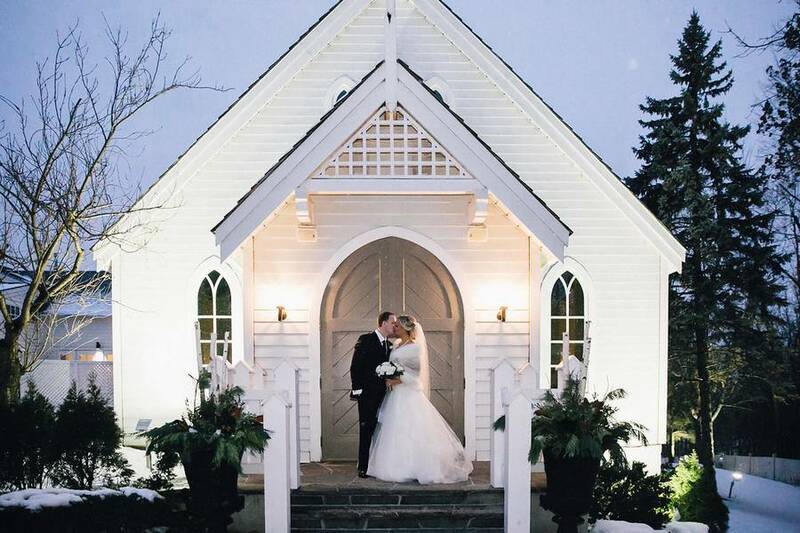 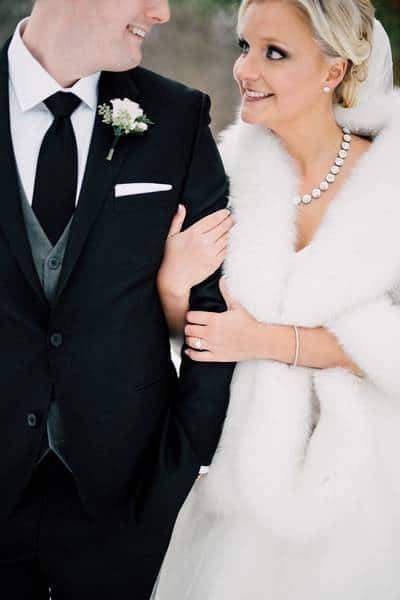 Planned by As You Wish Weddings, Jenna and Matthew’s winter wedding at The Doctor’s House exudes classic elegance with chic modern touches and is definitely nothing short of stunning. 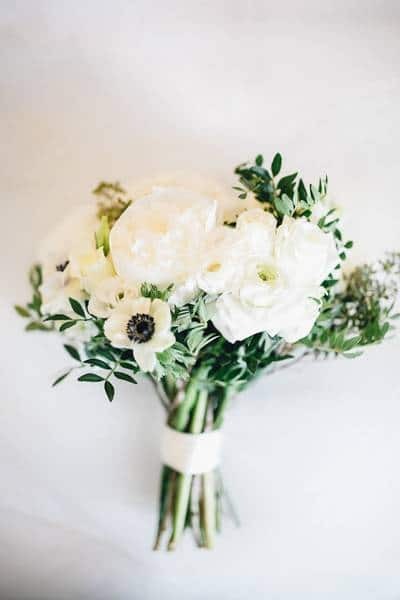 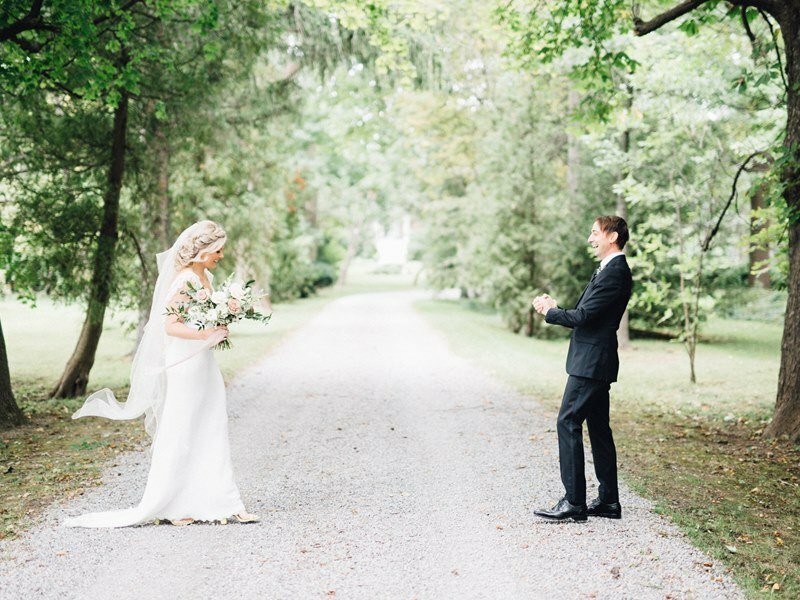 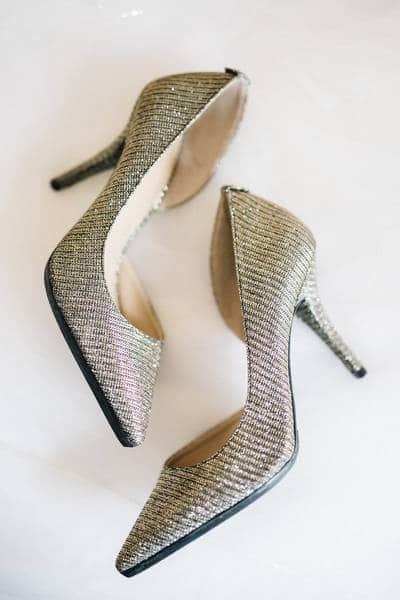 Beautifully captured by Simply Lace Photography, you don’t want to miss this one! 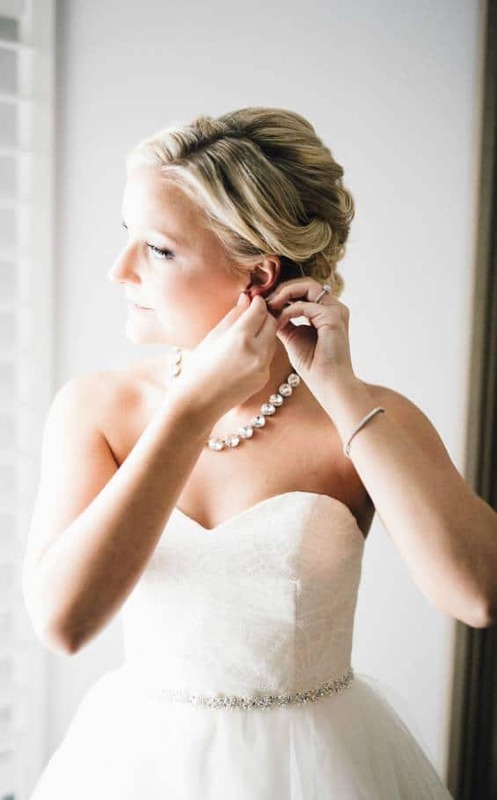 Hair and Makeup Courtesy of Schulz Makeup & Beauty Studios. 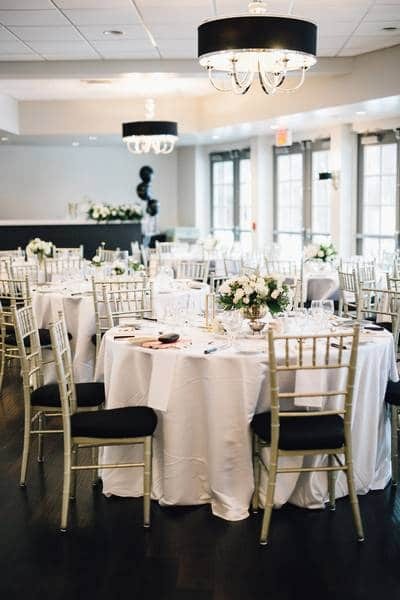 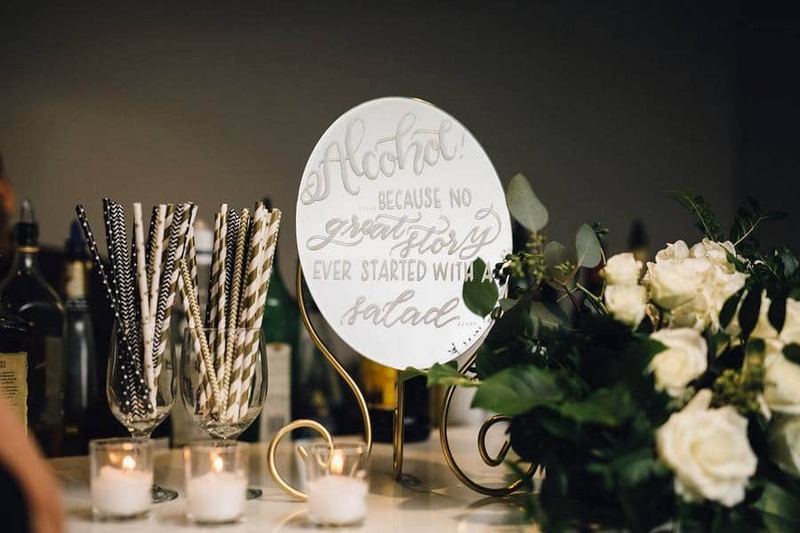 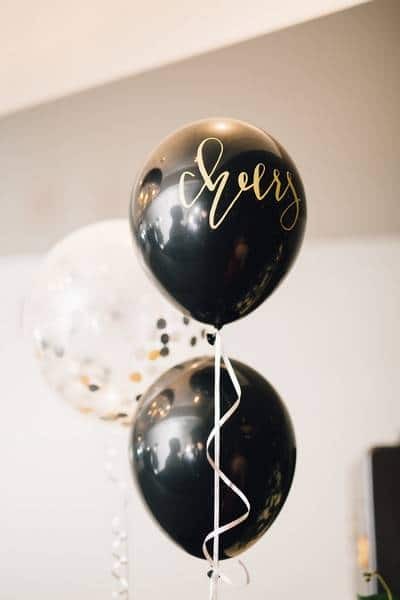 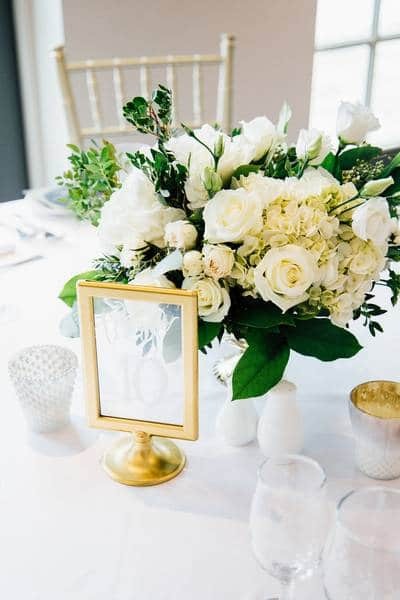 The couple chose a classic-yet-modern scheme of black, white, and gold for their decor, which added to the chic perfection of the reception. 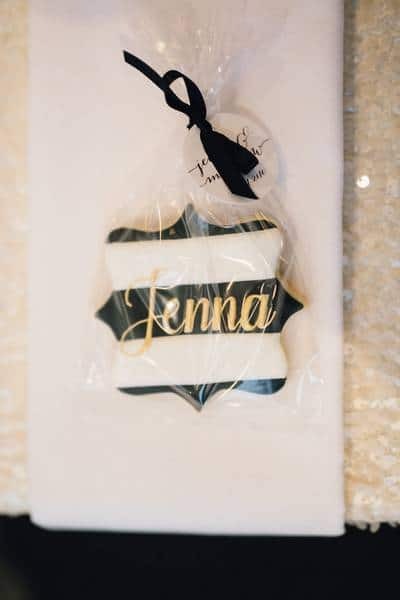 “We wanted to keep the décor classic, yet fun and festive, while also including some personal touches, such as the personalized cookie favours for each of our guests,” recalls Jenna. 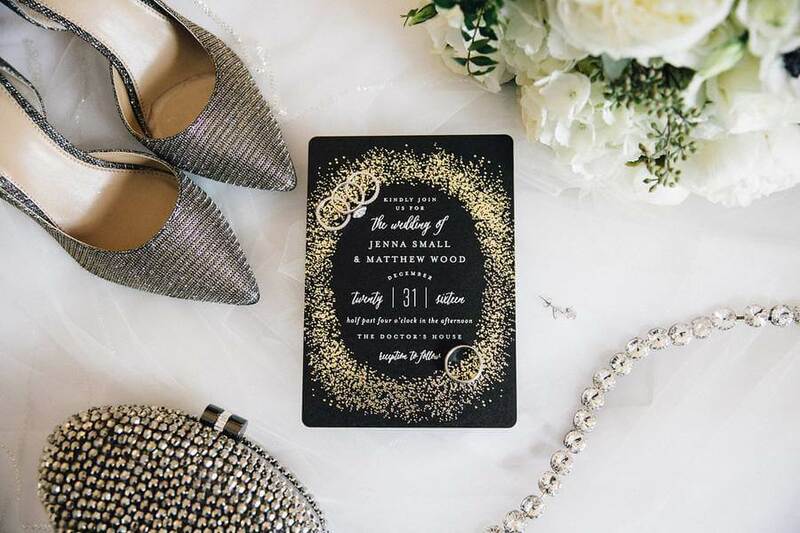 Dazzling signage by Paper Trails Design Co. and lovely creamy florals from Cedar & Stone Floral Studio formed the perfect blend of glitz and soft elegance. 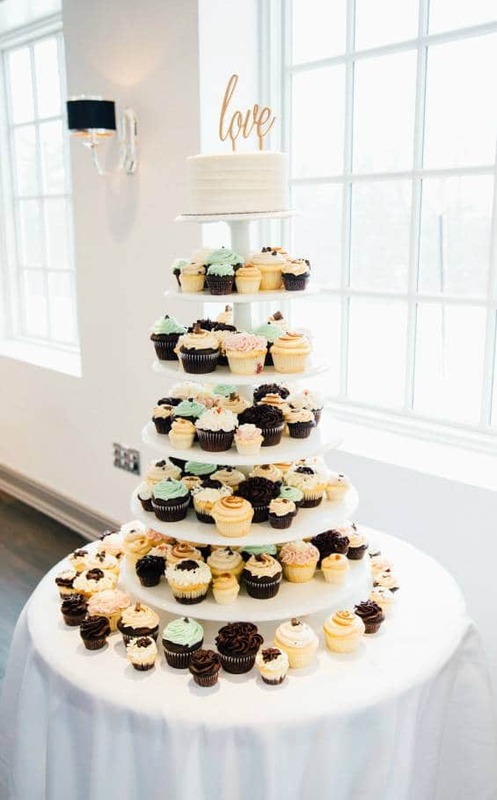 A tower of delicious cupcakes from LA Cupcake Boutique capped off the stunner of a night on a sweet note. 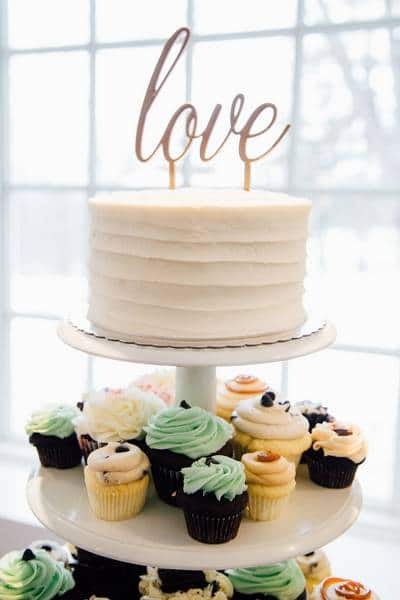 Photographer: Simply Lace Photography Venue: The Doctor's House Event Planner: As You Wish Weddings Wedding Dress: Hayley Paige Hair : Schulz Makeup & Beauty Studios Florist: Cedar & Stone Floral Studio Wedding Cake: LA Cupcake Boutique Hand Lettering: Paper Trails Design Co. 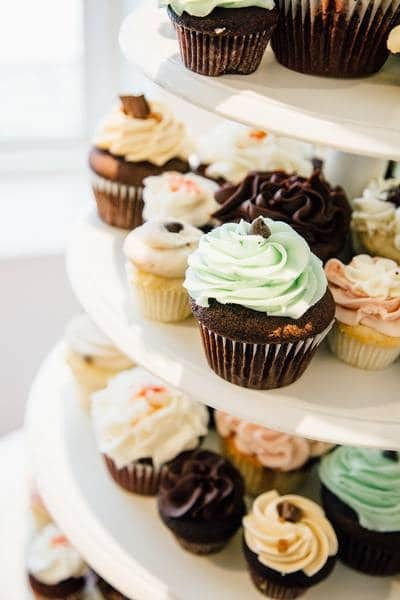 Wedding Favours: Sweet Pea Cookie Co.